HomeQuack Treatmentshomeopathy2013 Will See the End of NHS Homeopathy Hospitals in England. On the 7th of January 2013, the Cotham Hill site of the Bristol Homeopathic Hospital will close and the staff will move to a new NHS development, the South Bristol Community Hospital. A report into the move states that the homeopathy service has been in rapid decline over the past few years with the current levels of patient referrals being insufficient to support their own premises. In 2009/2010 there were 898 new patients seen at the hospital. This has now collapsed to 470 in the last year. The reasons given for the move appear to be somewhat confused with suggestions that it is to do with an expensive need to improve IT services and put modern networking in the building and that the University of Bristol want their building back. What is clear is that the homeopaths hope the move with change their fortunes. 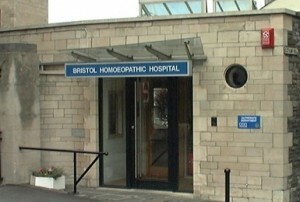 Bristol Homeopahic Hospital has had a difficult month and have had to withdraw their outreach clinics from Cullomtpon. The clinic was held at the GP Surgery complex of Michael Dixon, champion of alternative medicine and favourite of Prince Charles. The report stresses that the proposed change of location is not a downgrade of service but just a relocation. This is not quite true. From having a dedicated building, the homeopathy service will now be sharing space, leased by the NHS from private company Bristol Infracare (LiftCo). In their own words, they are “losing their own front door”. The report also discusses the need to do structural changes to create waiting spaces in the new building with the required “calm atmosphere”. When your medicine is nothing but sugar pills, having a nice space becomes that much more important. The closure is the last chance for supporters of homeopathy to claim the NHS provides homeopathic hospitals. Tunbridge Wells Homeopathic Hospital closed in 2008. The Royal London Homeopathic Hospital went in 2010 after it became impossible to claim that significant homeopathic services dominated the practices of the doctors. It became the Royal London Hospital for Integrated Medicine where a number of alternative medicines are practiced in one small part of a once much larger building. Liverpool Homeopathic Hospital just disappeared being replaced by an outsourced contract to a Community Interest Company. Even without this news from Bristol, it has been a struggle to claim there were NHS Homeopathy Hospitals in the UK. So, the future of Bristol Homeopathy looks uncertain. Much will depend on if it can turn around the massive and rapid decline in service usage. Their hope is that a move away from the city centre will make them more accessible to a broader group of potential referrals. Indeed, they look to see increasing numbers of patients from Bath & North East Somerset (BANES). Given that most patients according to the report are “complex, frail elderly patients”, the hope that a wider catchment with longer travel times looks, at best, hopeful. But the British Homeopathic Association have been putting an enormous amount of effort into lobbying the PCT in Bath to continue funding homeopathic treatment. The PCT were considering dropping this service, but a Freedom of Information request by me shows a long-term, persistent, and at times vicious campaign for Bath to not drop homeopathy by the homeopathic doctor’s representative group. In the UK, only Glasgow can still claim with any honesty to have a homeopathic hospital, although it is more of an out-patient clinic without even its own dispensing facilities. Even this facility is shifting from its homeopathic roots by now calling itself “The NHS Centre for Integrative Care. Glasgow Homeopathic Hospital”. It looks that publicly funded homeopathy in the UK is moving towards being just the preserve of a few eccentric doctors, often just working in general practice, whose PCTs are still willing to pay for a few homeopathic prescriptions. It could well be that NHS funding ends completely. In which case, we will just see the ‘Harley Street’ medical homeopaths able to attract the sort of wealthy clients who really don’t want to visit the crystals and patchouli ‘lay’ homeopath down the back alley. No bad thing. 97 Comments on 2013 Will See the End of NHS Homeopathy Hospitals in England. The demand comes from patients. I wonder if I might relate my experience of homeopathy. Just to be clear, I don’t have a beard, I’m not religious and I hate new world organic things. So, lets go, When my son was 6 months old he had chronic constipation, he managed a bowel movement once a week and it caused him incredible pain as it was huge. We were at the GP regularly and all they had to offer were large bottles of lactulose but no attempt to actually treat the condition, only the symptom. Eventually, as my son was really suffering, I took the plunge on the recommendation of a work colleague and visited a homeopath. I paid for a consultation, he spent an hour with us, prescribed a remedy and despite my scepticism my son was cured. I had also suffered from a long term problem with abscesses that had led to annual admissions to hospital, not to mention a lot of pain and inconvenience to me. the NHS was fine for slicing them open but nobody could tell me why they kept occurring or what I could do to prevent them. One day , after having my arse sliced open, I thought to myself it can’t hurt more than this to pay the homeopath guy £50 for a consultation. I went along, spent a couple of hours, was given a remedy, and 4 years later I’ve never had a serious abscess . If we are going to get all serious about science then the budget we should be kicking is the methadone one, 30 years of free drugs for addicts and no reduction in substance misuse, a huge increase in well paid jobs for the experts who repeatedly fail to make any impression not to mention the pharmacists who make a fortune dispensing the stuff and a wealth of evidence to prove it.So there you go £300 million a year saved by getting rid of a service that actually damages health, I think you can leave homeopathy alone for the moment without breaking the bank. B) Think that the methadone programme should be abolished because it simply exists for certain individuals’ personal profit and is of no benefit whatsoever to the individuals that it is targeted towards. Multiple anecdotes, no matter how personal or emotive, do not add up to a convincing evidence base. Numerous properly-conducted trials on homeopathy have conclusively demonstrated that it exerts nothing more than a placebo effect. However, trials brandished by pro-homeopathy individuals which apparently demonstrate its merits are flawed, either by design or by interpretation. Sometimes such trials don’t even bother to include a control group, which renders studies of the kind required to test for the efficacy of an intervention (e.g. homeopathic remedies) worse than useless. I would recommend looking very carefully indeed at any trial claimed by a homeopath to provide evidence that homeopathic remedies are efficacious. The NHS can and should only fund things that have been demonstrated to be of benefit to patients, therefore its funding of homeopathy is entirely unjustified. Evidence does exist supporting methadone’s use as opioid replacement therapy (see appropriate Cochrane library entries on methadone). How did you arrive at your figure of £300M per annum? NICE quotes a figure of around £17M for total annual methadone cost in England in 2004; I imagine it is highly unlikely that an additional £283M has been allocated from the NHS budget to this programme over the past 9 years. Also, have you considered other costs that may be recouped by reduction of crime/severe healthcare complications amongst substance misusers following successful methadone treatment? This programme is clearly of benefit to patients, therefore its funding by the NHS is justified. I appreciate it if you you took the time to read this far, and hope that you will consider my points carefully. I didn’t suggest that my son or I were part of a controlled trial, I just offered 2 examples, one of which couldn’t possibly have been a placebo effect. I’ll not go on about methadone at any great length as thats ‘off topic’ for this site but in answer to your question the £17 million figure NICE quote is for the cost of the drug itself for the prescribing or dispensing nor any of the other services that NHS Substance Misuse Teams offer (including Reiki & Acupuncture in many areas). In my region, Tayside, the cost of substance misuse service was approx £2 million in 2011, overall in Scotland it was around £30 million during the same period. The £17 million that you refer to would not keep London’s methadone addicts afloat for a year. In 20 years of working with substance misusers I saw less than a dozen get clean via methadone treatment. Most people on methadone test positive for other opiates and benzo’s so it doesn’t modify their behaviour, likewise go along to any Court on the morning of your choice and observe how many of the offenders are on methadone. As a therapy methadone may have a place in a strictly controlled programme with a particular group of patients but as a mass treatment with no expectation of ever stopping using opiates it is a waste of time and money, it is unfair and cruel for the patients, it is immoral on the part of the prescribers and dispensers to continue to promote this destructive cycle while chasing a profit. For the record, methadone killed 276 people in Scotland in 2011, Heroin killed 206.
i don’t know what the going rate is for dispensing methadone nowadays, in 2011 a pharmacist was being paid £3.65 per supervised dispense, that is in excess of £1000 per patient per annum, as they say, “do the math”. Why “couldn’t [your story] possibly have been a placebo effect”? You’re going to need to demonstrate your understanding of the components of placebo effects in order to answer properly. My son was 6 months old at the time, he had no understanding of the placebo effect. He wouldn’t have been able to differentiate between the GP & the Practice Nurse who were pouring lactulose into him to no great effect and the Homeopath the prescribed a successful remedy. Thanks, IanG. Your reply was the expected one. Many things occur in the aftermath of any medical intervention. A genuine and active placebo effect is among the least of them, but all these things are dealt with when a controlled trial is performed and under those controlled conditions, homeopathy performs exactly as we would expect a sugar pill to perform. Individual anecdotes, no matter how superficially impressive they are, cannot defeat that. Homeopaths and other SCAMsters thrive on this cognitive error. We don’t know why your baby got better. But, we can say with a near-100% level of certainty, it wasn’t the homeopathy. I’m not sure a couple of months of administering lactulose counts as a medical intervention, even if it did it was only acting as a lubricant and not actually treating whatever the cause of the very solid stools was. It may have been pure coincidence and a spontaneous remission that occurred, it may have been the homeopathic remedy neither you or I can say which with any degree of certainty whatsoever. Ultimately from my perspective it was money well spent. A for my own condition that appears to finally have been cured by homeopathy it may have been a placebo effect but 14 years of antibiotics and surgery certainly didn’t solve the problem. The money I paid the homeopath has saved the NHS thousands of ££’s in the long run so everyone should be happy. To repeat myself, we do not know why you and your baby got better. We can say for sure it wasn’t the homeopathic sugar pills because we have evidence that is much stronger than a list of coincidental recoveries and that trumps those anecdotes. If you will not or cannot accept that this is the case then there is no point in further exchanges of posts. Let me try one last sally. The world of possibilities is full of amazing coincidences that utterly fail to happen. We cannot quantify their number but it is astronomically vast. When a coincidence happens to us we are impelled to confer meaning to it but this is wrong; there are just so many potentially amazing coincidences that some will occur merely at random to someone somewhere. What you must realise is that you present your anecdote only because it has happened, but we do not hear from the many many people for whom such coincidences have not occurred. This is the basis of “survivorship bias”. Just think for a moment. The National Lottery offers a 1 in 14 million chance of the jackpot, but someone wins it nearly every week. It is very hard for that person not to feel special and that some mystical hand caused them to win and yet the rest of us are quite happy to accept that the process has been random and that the winner emerged simply by chance. Someone has to win the problem is that you cannot say who it will be ahead of time. The concept of survivorship bias is absolutely central to understanding how stories emerge in apparent support of useless medical therapies. Combine all of this with the homeopaths’ expertise at weaving a narrative that permits them to take the credit for all possible outcomes and the scene is set perfectly for the cognitive failure that occurs when presenting anecdote as proof. Basic science and controlled trials strip all of this bias and erroneous thinking away and show homeopathy to be a sham and a scam. Let me try one last sally. The world of possibilities is full of amazing coincidences that utterly fail to happen. We cannot quantify their number but it is astronomically vast. When a coincidence happens to us we are impelled to confer meaning to it but this is wrong; there are just so many potentially amazing coincidences that some will occur merely at random to someone somewhere. What you must realise is that you present your anecdote only because it has happened, but we do not hear from the many many people for whom such coincidences have not occurred. This is the basis of “survivorship bias” (look it up on Wikipedia. I’ve deleted the link because posts get dumped in moderation by them at the moment). I don’t know why you keep referring to ‘anecdotes’ I’ve not related any anecdotes, I have described to examples. I can say that my private consultations with the Homeopath have saved the NHS thousands of ££’s as I’ve not had to have be admitted to hospital or have surgery since I visited him. If the homeopath really is the scam merchant you believe he is don’t you think it is odd that he didn’t suggest lot’s of follow up appointments so that he could get his hands on my money? The consultations I paid for cost little more than the petrol money for a couple of trips to A&E. Maybe I should buy lottery tickets from the Homeopath in future. I know I’m not going to change anyone’s viewpoint I just find it odd that people can get so wound up about such a tiny fraction of the NHS budget when there is so much else that needs sorting out. which are accurately termed anecdotes. It’s not a derogatory term. It’s simply the technically correct word for what you have presented. Using the word anecdote does not itself imply that I am doubting the facts as you present them (I would need a much fuller access to your medical histories to venture into that territory and picking apart the factual details is not relevant at this point). What are presently in doubt are the causal inferences you draw from your anecdotes. Another fact remains, you seem unable to accept that drawing these inferences is invalid. The fact that this homeopath did not call you back for spurious follow-up consultations does not rescue homeopathy as a whole from being a scam and it is most certainly the case that homeopaths can turn people into chronic users of their useless services. Look up “constitutional remedies”. I really don’t think you’ve understood the concept of survivorship bias. I understand it perfectly well, do you understand the concept of humour? I’m not accusing all Doctors of being Harold Shipman, maybe you shouldn’t be tarring all Homeopaths with the same brush. If you work in the NHS you must be well aware of the malpractice that takes place on a day to day basis. I looked up’Constitutional remedies’ I’m not sure what your point is? If you are suggesting that these are bad because they encourage people to engage with a Homeopath then, fair enough I can see how someone could get sucked into a situation if they were dealing with someone incompetent or unscrupulous. Sounds a bit like the Benzodiazepine prescribing epidemic of the 80’s and 90’s, how did science allow that to happen? One thing you said intrigues me. You criticised your baby’s doctors for treating the symptoms not the condition. You are evidently impressed by your homeopath. What did he or she say was the “condition”? I can’t actually remember, it was a good few years ago now and at the time I just wanted to try something different to what the NHS was offering because I hated to watch the little fellow suffer. I wasn’t particularly interested in the detail at the time. So what was the condition (as opposed to the symptom) that GP made no attempt to actually treat but which the homeopath treated successfully? My son was “terribly constipated ” too, but his paediatrician told me that is normal in cases of breastfeed babies as they digest breastmilk almost perfectly, without much stools. The “problem” is cured by introducing other foods, which is most likely around 6 months of age. Which probably happened to your son. The placebo effect was provided by you, being trusting in the new medication. Your calming effect made your son feeling better. I have slight asthma, my son has hay fever. We both are treated by allopathic medicine. Both of us’ condition are well managed, without side effects. My sister’s son has various allergies and hay fever, treated by homeopathy. He spends most of the summer indoors as unable to cope with pollen. An other anecdotal evidence for you, from the other side. GPs will write the referral letters but whether GPs are referring purely on their own initiative or if the referrals are down to patient demands is going to vary. I don’t think that homeopathy outpatient clinics will accept self-referrals. I agree Kevin, GP’s will not advise this, as they are firmly in the clutches of the pharmaceutical companies, who appear to have endless pots of money. I detest the assumption that only pharmacy based medicine world & that homeopathy medicine is only a ‘placebo’. Take a look at the history of homeopathy and herbalism and you will see that the majority of ‘Doctor’ prescribed medications are based on chemical copies of herbs and plants used for hundreds of years. We have been well and truly ‘institutionalised’ by this belief and have been sold out for money and capital gain. It is not an assumption that “only pharmacy based medicine [works] & that homeopathy medicine is only a ‘placebo”. Homeopathy is not based on herbs and plants – it is a pure placebo of just sugar (or water). We can easily dismiss homeopathy as a medicine as it does not contain any medicine. Herbalism is merely a primitive form of pharmacy where the herbalist uses unknown active agents of unknown efficacy in unknown quantities and with unknown side-effects. Once these issues become known then herbs simply become medicine . I have copies of correspondence. GPs care. They have, and need, to demonstrate compassion. If a patient says they would like to try a cam – why not? The GP is only trying to keep his patient happy. GPs are not employed as scientists demanding the ‘truth.’ They are employed to keep patients happy. (And to help the government satisfy voters they they also care). I think this is paternalistic, demonstrates lack of intellectual integrity, and is unethical. But whilst politicians are satified to continue funding, until NICE reports on cost benefit, doctors will carry on ‘pleasing their patients. With placebos. IMHO the real lack of moral probity lies in the failure to obtain informed consent. That would entail telling patients the truth about how much active ingredient there is in a homeopathic remedy, and hoe placebos achieve their effects. How many homeopaths obtain such informed consent? I was referred to the London Homoeopathic Hospital by my Rheumatology Consultant after four years of unsuccessful tests to find the source of my “Chronic Pain”. I felt utterly rejected, she might as well have said to me “It’s all in your head so I’m off-loading you to the Water Wizards”. Turns out none of her tests found the extensive Stage 4 Endometriosis and the huge ovarian cysts that have been the actual cause of my very real pain. I hate to think where I’d be had I given up and gone to the Homoeopaths. Am very pleased you managed to get your obviously painful problem dealt with adequately. Would you be good enough to let us know how you did get diagnosed properly? Probably fertilising the daisies in the garden of rest, Lorraine. My experiences fully support Dr. RR’s posting (albeit with other forms of quackery – hey, quackery is quackery). My GP is normally a paragon of EBM but nevertheless suggested I see an acupuncturist for severe back pain. His rationale was that it appeared to work for his brother in law. Bateman cartoon style outburst from annoyed patient. My consultant rheumatologist also suggested I try needling for pain. Bateman style outburst 2. Both of them knew that my “problem” was eight fractured vertebrae and I was hardly some whinging hypochondriac looking for tea and sympathy (mind you, when I only had one fractured vertebra and a bent rib my GP practice forgot to mention it to me. ( “lower back pain – no further action). I have lost count of the fellow cripples and gimps I have met in the orthopaedic clinic who have had acupuncture, chiropractic and osteopathy suggested to them. My sister is a nurse and temped in an acupuncture clinic in Hounslow. The clientele consisted almost entirely of elderly women who had been referred for chronic pain from osteoporosis, rheumatism and arthritis. Their experiences almost exactly matched the pattern described in Snake Oil Science. If there has been a reduction in referrals to the Pixy Dust Hospitals it is probably down to the work of sceptics like the Canard who have massively raised awareness of the uselessness of this mumbo-jumbo. Long may it continue (both the scepticism and the decline in made up medicines). Please enlighten me if I’m way off the mark.. But I thought placebos were effective, mentally and physically? I understand that informed consent is important, but doesn’t the placebo effect work even if you are told you are being treated with a placebo? I’m sure Ben Goldacre mentions it in Bad Science. If there are no other adverse effects on health, I’d suggest some homeopathic treatments may help some people (probably through placebo?) where other types of treatment have consistently failed. To completely take the option of homeopathy out of treatment options is to take away a right of choice for patients. Yes there’s far too much belief in the effectiveness of homeopathy, and I’m happy this is being addressed, but I’m not so happy that there seems to be this idea that prohibition of homeopathy in the UK is a moral solution to peoples ailments. Anyway that’s may six cents. Please enlighten me if I’m way off the mark.. But I thought placebos were effective, mentally and physically? There is some doubt about whether placebos are as effective as is sometimes suggested. Much of the apparent effect of a placebo treatment is just what would have happened anyway without any treatment; when people are ill they tend to get better. If there are no other adverse effects on health, I’d suggest some homeopathic treatments may help some people (probably through placebo?) where other types of treatment have consistently failed. Why would homoeopathy work as a placebo “where other types of treatment have consistently failed”? The “other types of treatment” will probably have been at least as good a placebo as the homoeopathy. There is, apparently, nothing special about homoeopathy as far as the placebo effect is concerned. The difference is that for homoeopathy all you get is the placebo effect. For an effective treatment you get the effect of the treatment plus the placebo effect. Well appointments with practitioners of homeopathy last longer, so you can offload a lot more and then they make you feel really special with an individualised ‘remedy’ concocted just for you, so I’m told. Placebo effects in RCTs on classical homeopathy did not appear to be larger than placebo effects in conventional medicine. Homeopathy isn’t science and the pills are simply placebo. Same with acupuncture. But we need to remind ourselves that placebos have a real affect on people. Even when they know they are a placebo! Now I must say that nobody should be making hardly a penny on proscribing sugar pills. The pills and all homeopathic quackery should be provided by the hospital itself, and the cost of the pills should LOOK expensive but should just be an accounting thing to offset a real medicine. No REAl medicine should be stopped and placebos should never be given out of a sense of “nothing else works”. That’s a dangerous use of a placebo as we see in another post here. Nonetheless, I can entirely see the efficacy of providing placebos in very specific circumstances. It would take a committee to draw up guidelines for their use so I won’t attempt it here but I would not dismiss their use because of the simple fact they can help alleviate suffering. It would be nice if someone did “proscribe” sugar pills. The geist of Freud lives on. 1) If you know you are prescribing placebos this involves a deliberate deception of the patient. Doctors deceiving patients is a hard one to defend. If you do not know you are prescribing a placebo, you are by definition incompetent. 2) Who trains people to use homeopathy as a placebo? Again either you teach deliberate deception or you allow the deluded to teach. Not a good idea either way. It is effect not affect in this case. Placebos work to varying degrees depending on the condition; they are good for pain, but won’t fix the broken leg causing the pain for example. There is a real gap where doctors dismiss the reality of conditions that are reported, but cannot be tested for objectively such as ME, fibro myalgia and some forms of infertility. Because the patients cannot be treated using evidence based medicine doctors often deny their conditions are a problem at all, presumably because of their own cognitive dissonance and to minimise their own feelings of baffled helplessness. This combination of a lack of treatment and a lack of respect from the medics creates the vacuum that alternative practitioners step into. NHS homeopathic hospitals have only existed in name for a long time. With the exception of the Glasgow Homeopathic Hospital, none have had inpatient beds for years. Even the GHH has had the number of inpatient beds reduced and they are only open during the week. They are essentially out-patient clinics. Their setting is doesn’t change that. None of the homeopathic hospitals has existed as an independent entity within the NHS for years either. They are part of larger NHS organisations. There is a certain irony in Dr Peter Fisher being described as “Clinical Director” of the RLHIM when he exists much further down the organisational structure of the UCLH Trust. Edzard Ernst is derided by the complementary brigade for showing that there is no robust evidence for the wild claims made. It is frankly outrageous that NHS money is used to pay for complementary medicines unless there is a clearly positive trial result, which is based simply on having lots of time to talk and listen to patients, in lovely surroundings – but resources should be allocated fairly and equally for all. This should be regulated properly, including using the Advertising Standards Authority given the weakness of the existing regulators such as the General Chiropractic Council. I think the same outrage should be reserved for any treatment on the NHS that doesn’t have evidence for it, or solid science behind it. “Complementary” doesn’t really mean much here. Any useless treatment is wasting NHS budget. Edzard generally notes there is medicine that works, and treatments that don’t and labels like “alternative” or ” complementary” aren’t useful as they don’t tell you if the treatment works. Of course reality is more nuanced, because even if acupuncture is found to be effective for pain relief (and there are a few positive studies, and it is not implausible that stabbing people with pins might affect pain response), the next question a doctor will ask is “should I use it instead of paracetamol?”, since we have a lot of very effective analgesics the criteria for accepting a new one is likely to be a lot higher than one which has been struggling to prove it is effective at all. Technology advances invariably leave earlier ideas in the dust. Homeopathy probably was better than regular medicine in 1800, but was surpassed by 1900. The last gasps of an older practice will be a footnote in future descriptions of medicine. I cannot determine whether the patients or the practitioners are the greatest supporters for the this aging, obsolete, useless practice. I see they’ve not updated their website to show their new ‘hospital’. Maybe this is it? Note that they have already installed the latest homeopathic medicine delivery system. prescribed medicine. The GP appeared to be disinterested. the adverse effects of generic drugs..this is given little publicity. The only advantage of their use is to make extra money for drug companies.Some homeopathic remedies work and some do not, as in conventional medicine..but at least if they dont work no permanent damage is acquired. June, sorry to hear you’ve had trouble with your medication. The use of generics is to save the NHS money, it is simply buying the cheapest brand of a drug, so the drug companies make less. No homeopathic remedies have been shown to be effective, there is plenty of evidence e of harm in people like you who mistakenly think they are a forms of medicine. Name some in each group and present evidence to support your assertion. You should present evidence too!! Further evidence, if any were needed: any level of scientific understanding, common sense. I have to say that reading this blog from outside of the UK I find it ironic that you have a Royal family that still uses homeopathy and yet you are the center of skepticism. For full disclosure I am not a homeopath but a firm believer in homeopathy. I am truly shocked by the level of animosity against homeopathy on this blog. I am truly shocked by a believer in homoeopathy relying on an appeal to inappropriate authority – not. Of course there’s animosity toward homeoquackery here. That’s part of Andy’s mission statement if you scroll up to the masthead. “Thoughts on quackery, health beliefs and pseudoscience.” This site was never intended to present a fair and balanced point of view about nonsense like homeopathy, acupuncture, quack cancer cures and wishful thinking. Who gives a flying fig what some doddering old Royal family mired in the 18th century believes? I’m sure they believe in astrology too. What do you believe works in homeopathy? If homeopathy works, why hasn’t Prince Charles used it to cure his debilitating brain disease? And I notice whenever there’s a real medical problem in the Royal family, they use real doctors, real medicine and real hospitals. Not magic sugar pills. Andy, html tags don’t work here? I tried to italicize the comment from the Guardian but it didn’t work. Maybe I needed to dilute the html tags a few hundred-fold? The last sentence is mine, not a comment in the Guardian. To accept homeopathy you have to swallow two ludicrous concepts: the “law of similars” and the whole dilution thing. You guys all talk the same, but does any of you have any experience of homeopathy? I don’t mean that you read studies, do you have any first hand experience? 1. A partner got the Usborne book of HY and tried to convince me it was valid and was used extensively in France. I took cold cure from Boots twice. Followed the instructions to the letter. No effect. 3. I also took two a day for a month (as I was apparently supposed to do. It would seem that you cannot overdose on the nothingness of natural HY so I went for the underdose of nothing). No effect whatsoever despite dire warnings and promises of all sorts of unpleasantness. Having read around this lunacy I suppose I was actually proving it (word used loosely). Result:not proven to the point of epic fail. Anecdotal evidence obviously so feel free to reject it (the same way i will reject yours). What else should I do to test HY? However there may be something to this drivel. When I was a kid I was stung by a bee. Eventually my defence mechanisms and internal detox must have diluted the bee venom to the potency of HY Apis mellifica. All my juvenile jumping around and bangs and scrapes must have succussed it. And lo and behold, I have never had any sort of allergic reaction. Surely this must prove my last post wrong. Actually, yes, I had a ex-girlfriend who believed in all that magic. I’ve have lived the experience of dissolving those tasty little sugar balls under my tongue. Didn’t do anything. (This was years ago when I would have been more receptive to believing this rubbish, before I became a skeptic and before I even knew how ridiculous the entire premise of homeopathy is.) Guess what? They didn’t do anything. Do you think homeopathy can treat cancer, AIDS or malaria, for example? Or can “cure” autism? It’s fine if someone teakes some tasty sugar pills for the sniffles: colds go away in a few days anyway. With or without sugar pills, magic wands or fairy pixie dust. But for anything more serious than a cold, heaven help anyone who relies on homeoquackery alone. See Penelope Dingle’s story, for one. Tic Tacs are cheaper and even more tasty. I recommend you read the more recent post here about homeoquackic “quality control” or the lack thereof. Especially read the comments. Even the factories making this stuff have no way of guaranteeing you’re getting anything except plain, 100%, non-magic sugar balls. The only way to know what’s in the vial is by reading the label. Science cannot detect the presence of anything except sugar. And don’t start start using words like “paradigm” or “quantum” and claim we can’t understand the science. There is no science. Just tasty sugar. Someone once calculated that Boiron was selling sugar for something like $60,000 a pound based on the cost of a 14-pack of Oscillo. I also never understood how homeopaths can say with a straight face that one pill or the entire vial is equal, and is “one dose.” That’s why they claim one can’t overdose on the pills. How do they control dosage then? What does it matter if you take one sugar ball, ten, or the entire output from one of Boiron’s manufacturing runs? I suppose that last option might cause hyperglycæmia. This can be fatal – so much for safe and natural (although to be fair you were taking the piss – and rightly so). Base on Instant Perfect Punditry it would appear that hyperglycæmia can cause impairment of cognitive functions so an awful lot of woosters must be seriously blowing the recommended dosage. Let me rephrase my question…since you have all studied homeopathy so well, you should know that remedies are supposed to be patient specific, not condition specific. So, in light of this, how many of you guys have gone to a classical homeopath for a real condition and followed treatment? So why do they sell OTC H~Y pills in Boots and the Quack Kiosk within my local Tesco? You just look down the list of illnesses/conditions and select your quackery du jour accordingly. Is this wrong? Should OTC H~Y purveyors be shut down as they are clearly not playing the game. Presumably you would agree that they should be. In answer to your second question. NO, I have a GP. That works. You lot really are a bunch of weasels. Slipperier than well greased eels (not getting too zoomorphic). So you’re implying that all those expensive sugar balls made by Boiron that my local pharmacy sells are a scam? Are they not real homeopathic products? That’s what most people think of, and buy, when discussing homeopathy. So are there now two different levels of homeopathy; the stuff you buy over a counter and the stuff a witch doctor cooks up just specifically for me? “Scam” and “real homeopathic products” are synonyms. What’s scary is the over-the-counter sugar balls can’t do much harm, as they’re usually sold for self-limited and not life threatening conditions like headaches, colds, sniffles, etc. It’s the “classical homeopaths” that claim they cure cancer and kill people. Once again, see Penelope Dingle. Jim: YES or NO. Can homeopathy cure cancer, AIDS or malaria? Jim: Yes or NO: If you had cancer, would you treat it homeopathically? We’re on the same wavelength, brother. Must be quantum. I always questioned that double standard that the Boiron stuff isn’t real homeopathy. Then what is it? And why is Boiron a $600 million a year company? No wonder there are lawsuits against them taking place all around the world. Are you aware of the difference between acute and constitutional remedies? Homeopaths usually prescribe standard remedies, like the ones OTC. They choose the remedy based on many symptoms not just one. When it is said that the remedy is patient-specific it does not mean the homeopath prepares it himself, it means it is not just targeted at one symptom. So what was the condition (as opposed to the symptom) that the GP made no attempt to actually treat but which the homeopath treated successfully? Sounds a bit like the Benzodiazepine prescribing epidemic of the 80′s and 90′s, how did science allow that to happen? Inappropriate use of chemicals that have biological effects and need good regulation is another topic and not strictly the remit of science. The issue with homeopathy is its uselessness and the freedom with which its purveyors are allowed to ply their trade. Based on your trivial and tangential throwaway comments, I’m not sure you really want to engage with any of these issues properly, which is a shame. You have not engaged at all with the highly relevant concept of survivorship bias as it pertains to your anecdotes. All we have is a feeble joke and I pointed that out. You do understand, don’t you, that symptoms are all that homeopathy claims to treat? As for my ‘tangential’ comments, I disagree. You make much of the absence of evidence when you dismiss any positive view of homeopathy. The point I am making is that there are plenty examples of useless or even dangerous prescribing practices in the recent history of conventional medicine despite the supposed regulation and I’m not even going to start on NHS Psychology and Psychiatric services, no shortage of quacks there, but they are regulated so maybe that is OK? Sorry about the duplicate last comment. Yeah, I am mystified about the treating the symptoms v treating the condition/root cause thing. Leaving aside the lack of explanation of how exactly homeopathy might ‘treat the imbalance…’. how surprising that homeopaths should seem to contradict each other on what that their products actually do. Skeptikat: Obviously the guy I saw is in the latter camp. I’m not sure that we should be terribly surprised that views differ though, it’s not a McDonalds franchise where everything is uniform. In my area of work, addictions, there are quite a number of models and approaches that are completely at odds with each other. As you complained that the GP made “no attempt to actually treat the condition, only the symptom”, I would expect the above quote to meet with your disapproval. The quote is from Samuel Hahnnemann, inventor of homeopathy, in his ‘Organon of the Medical Art’. Of course there are different views and approaches in homeopathy; there is a helpful explanation on some of the differences here. But that disease is defined entirely in terms of its symptoms and that the relief of these symptoms cures the disease is a fundamental principle of homeopathy and those homeopaths who claims that a principle to homeopathy treat the root cause of the condition (or any such thing) are being misleading – not necessarily deliberately so. It is, after all, intuitively appealing to believe that a therapy you think from personal experience works, does something more fundamental than merely relieve a symptom. It also sounds better from a marketing perspective. Your cartoon caricature of the “medical model” practised by conventional doctors better serves as a description of what homeopaths do i.e. they take a note of the symptoms and they prescribe a remedy for the patient to ingest. Nelsons even produced brochures for display in Boots and H&B (now disallowed by the MHRA) where you could look up your symptom and pick your remedy: insomnia=coffea, warts=thuja, etc. Unlike modern medicine, prescribing pills (or drops) is all (lay) homeopaths can do. As these ‘remedies’ typically contain no active ingredients, relying on them in place of all that modern medicine has to offer in the belief that they will ‘treat the condition, not just the symptom’, can be extremely dangerous, as many have found out to their cost. As for your two anecdotes, I strongly recommend Albert Michotte’s work on the the perception of causality. It would help if you placed your posts in proper relation the ones to which you are replying. Be that as it may, I’m sorry but I am not inclined to try to teach you from scratch about what homeopathy claims about itself. Also, I’m not going to respond to more whataboutery on the topic of conventional medicine it has literally no bearing on the validity or otherwise of homeopathy. Sorry, IanG, I think I’m done here. If NHS stops homeopathy treatment in England in 2013, it would be a bad decision. I have 7 month meetings in India with homeopathic doctors (11) over 3 cities and was part of many doctor patient consultations. Homeopathy offers cure for many diseases. I have collected a record of 83 cases properly cured by homeopathic remedies for my further research. In India the government supports homeopathy treatment also. 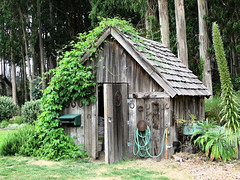 There are many colleges training homeopath doctors. A good homeopath doctor may actually charge higher than a regular doctor. Homeopathy provides a low cost treatment option for many diseases. Homeopathy offers cure for many diseases. Schemeit, I don’t think we can trust you to identify 83 cases of anything cured by anyone. Your resistance to engaging in anything resemble critical thought or logical reasoning simply disqualifies you. How many people would an average Indian homeopath treat over seven months? Even if 8 people (on average) had been treated successfully by each over the period, that strikes me as a very low figure. I’d hope an NHS doctor would get that many successes in a day, let alone 200 days. My wonderful American doctor occasionally suggests a homeopathic remedy in addition to the prescriptions she writes for me. I told her I don’t believe in homeopathy. She said you don’t have to believe in it, it even works on animals! I don’t know how a well-educated doctor can believe in this stuff, but in America some of them believe birth control is abortion and abortion is murder, so some pharmacists won’t supply any of it. Belief is the enemy of science unless well controlled. Actually, looking at the world around us, Belief with a capital B is the root of almost all evil! quite educational and you are naturally very well-informed in this region. Just a couple of thoughts–doesn’t the Government waste shedloads of money on seemingly continual top-down reorganisations of the NHS? and,although very much a sceptic and a former psychiatric nurse of 14 yrs standing[previously a coalminer of 10 yrs standing],I have had recent experience of homeopathy.I had a heart attack in November 2013,and read a book called ‘Alternative Cures’ by Bill Gottlieb[admittedly now a bit long in the tooth].From reading that book and with GTN spray ever at the ready! !,I tried homeopathic Cactus pillules for my angina.I’m not saying that they proved capable of aborting an attack EVERY time,but the remedy DID work some of the time[which both shocked and surprised me].I’m currently requesting another angiogram to see if some[non-homeopathic]artery-clearing strategies that I’ve been trying have actually worked,but the medics seem determined to push me down the road to a triple-bypass.Despite a grossly inaccurate report of a preliminary meeting sent by a heart surgeon to my cardiologists,I’m not against surgery as a hard and fast rule[having had 6 operations in a decade to correct a persistent non-union of my right mid-shaft thigh(with operation #6 seemingly having sorted the problem to a great extent)]. Hey can anyone tell me if a consultant psychiatrist working in the nhs can offer and prescribe homeopathic medications to their patients? I don’t profess to know much about homeopathy but what I do know is NICE don’t rate it and that’s a big concern when you witness it being prescribed to people in hospital. My personal view is that the psychiatrist in question is abusing his position to impose his beliefs on to those in our care. Is this not the same as a Christian psychiatrist prescribing the healing power of faith as a treatment? Your thoughts on this would be truely welcomed. There are just some 300-odd authorised and registered homeopathic ‘medicines’ (plus some with an anachronistic Product Licence of Right (PLR)). These are all on the General Sales List (GSL) and are available Over The Counter (OTC) so anyone can buy them, but the rest (tens of thousands) are unlicensed medicines. Anyone with independent prescribing rights (essentially all medical doctors) can prescribe both licensed and unlicensed medicines. Amazing that the old argument of “sugar coated pills” and “placebo effect” is still used to brand Homeopathy as a pseudo-science. Just because we do not understand something does not mean it cannot exist. Homeopathy is not a chemical remedy – we can all agree here as there is no remnant of the original chemical that is diluted by the water. Homeopathy is an electro-magnetic remedy that science is gradually starting to understand with the continued development of Quantum Physics. I would urge anyone with an inquisitive mind to Google the Nobel prize winning Luc Montangnier and his ground-breaking work on the memory or water, as well as Prof. Gerald Pollack from Washington University and his work on the “4th State of Water” to really understand how Homeopathy can work. It is a very exciting area of research which has extraordinary ramifications for all of our health. But first the skeptics must be humble enough to realise that maybe we don’t quite know it all yet! It is not true that we do not understand the science of homeopathy. We have a very good understanding of the phycics and chemistry of materials. Well established results in these areas show that diluting materials to the point of no material being left will ensure there is no effect. We understand how materials are made up and why this is so. In fact it is really basic. We understand this both from classical physics and have deeper understanding from quantum physics. We also understand the biology and pysiology of animals to ensure with a very high degree of confidence that the so-called principle of like-cures-like is utter nonsense. We also have a good understanding of the psychology of placebos to explain why people believe a treatment works when it is inert. As such, we know, with as much confidence as we can know anything in science, the homeopathy is inert, the claims are baseless and believers are mistaken due to common placebo effct thinking. Your assertions that homeopathy is ‘electro-magnetic’ is just word salad. Meaningless nonsense with no explanatory power. Pseudoscience. If the time comes when one of your favoured researchers deems it fit to publish their results in a respected peer-reviewed journal so that their results can be independently replicated and verified, then you might be onto something. Not until then. Luc Montagnier has said repeatedly that his “work” (quacky as it is, as Sandy has pointed out) cannot and should not be extrapolated to legitimize homeopathy. So even a quack like Montagnier realizes that homeopathy is nonsense and has disassociated himself from the magic sugar pill scam. The rest of your post is so wrong I doubt you even got your name correct. The beauty of homeopathy is the simple logic of’ ‘how can one size fit all’. The GP will prescribe the same drug [normally ‘anti’- something or other] to each and every individual, regardless of age, height, weight, ethnic origin, social conditions and personal habits. Most drugs interact adversely and have myriad side effects. Many have to be taken ‘for life’. Very few are ‘one off’. Many are expensive and not even taken by the patient because they can’t cope with the effects. At least homeopathy makes a point of individualising medicine means it can’t fulfil the double blind placebo based ‘research’ [we all know about THAT!] Various homeopathic remedies have helped me and many others injured seriously by allopathic medicine. Many people can’t accept that something is the case because they don’t have the breadth of vision to understand. Amazing. Everything you have written is wrong. But to challenge a few things: why do so many RCTs of individualised homeopathy exist if you say ‘we all know’ that you cannot do this? Can I also ask you how you know the difference between ‘breadth of vision’ and ‘ignorance and stupidity’? Please explain just why homeopathy is not perfectly suited to DBRCT. The pills all look the same. Just because you cannot see how such a trial can be run doesn’t mean that no one can do it. Your appeal to personal incredulity is a particularly weak line of argument. The big professional organisations of homeopathy have been very keen to show off DBRCTs of homeopathy. Their only problem is that homeopathy doesn’t work.